Including the short story “Freeze Out” by Nancy Holder. 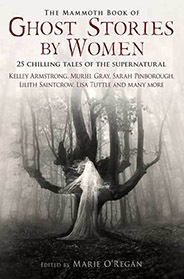 This chilling collection brings talented female perspectives to the modern dark tales of haunting. It will linger in your nightmares long after you close it.